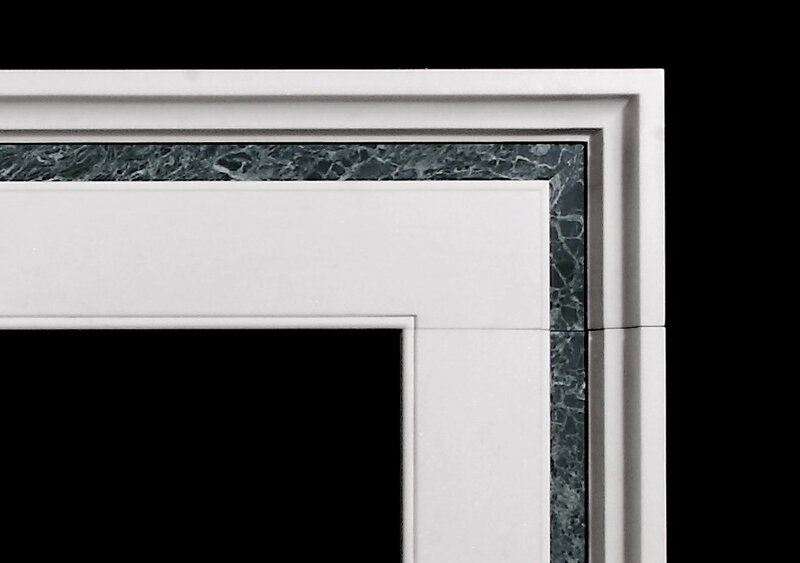 A simple architectural frame fabricated in statuary marble with a border of inlaid Verde Tinos. 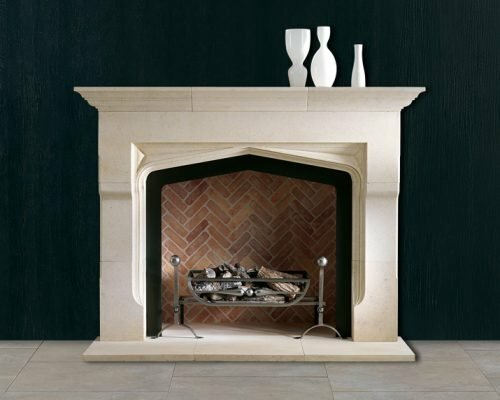 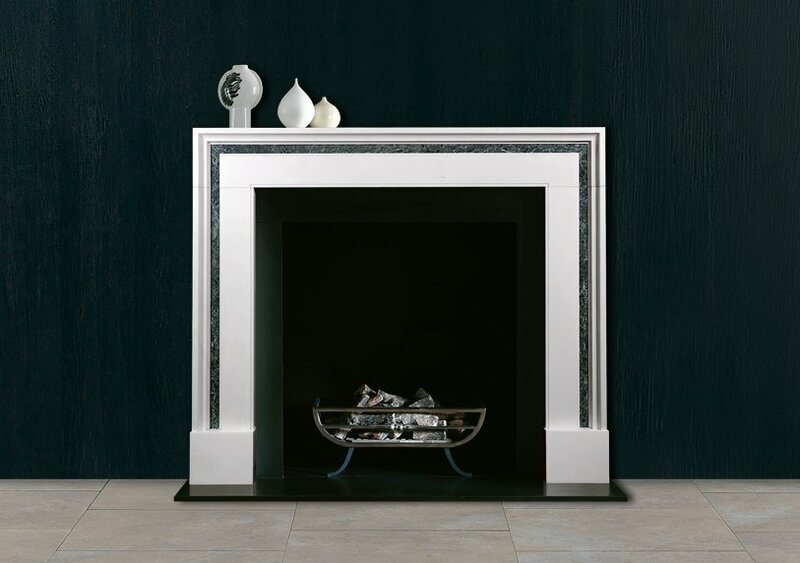 Please note that the image shows the fireplace in Bianco Avorio limestone, but the items on sale are in Bathstone. 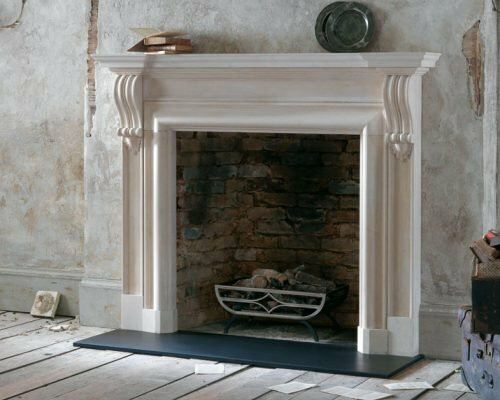 The Durham is a limestone chimneypiece of robust appearance with panelled pilasters terminating in carved corbels. 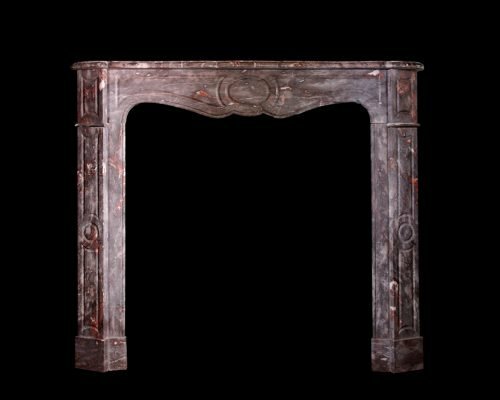 A late 19th century Pompadour Plat French chimneypiece in richly coloured marble.